I recently received comments from a reader about my blog, "Did Joseph lie about polygamy?" In partial response to his comments, I wrote the following words. Because they are pertinent to defending Joseph against the "new" attack on him, I decided to make a blog of them. When one looks at all the recent books that have been published proclaiming Joseph to be a polygamist, it may be difficult for some to understand how anyone can believe he wasn’t. However, it is not the volume of information that is important -- only its integrity and truthfulness. And in my opinion that is where these books fail. In June, 2009, Joseph will have been dead for 165 years. Obviously, there is no new information on this subject to write about (except for DNA that is mostly ignored by the more current books). All these books just re-interpret old information to draw conclusions the author wants to draw. And when one objectively looks at the old information and evaluates it according to standards used in courts of law (i.e., how close to the event it was recorded, if it was first-hand knowledge, if there was a motive to lie or slant the truth, etc. ), he finds that the old information doesn’t stand up to such scrutiny. Thus, there is no real proof Joseph taught or practiced polygamy. So, if Joseph was “lied about” to justify polygamy, why do the books written today continue that lie? 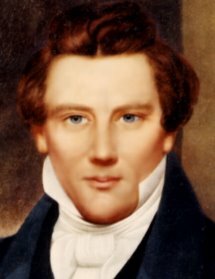 Possibly, the authors with Mormon backgrounds have been so schooled in the idea that Joseph taught and practiced polygamy and lied about it that they can’t get past this notion. However, this doesn’t really explain why many ignore or dismiss evidence like the Temple Lot Case, or Joseph III's investigations, or present DNA evidence showing that about half of Joseph's alleged children from polygamist marriages have been proven not to be his biological children. I believe that the majority of these authors have hidden agendas to demean the character of Joseph and thus negate the work of God through him. To me, this is most evident in the recent book, Nauvoo Polygamy “… but we called it celestial marriage” by George D. Smith, publisher of Signature Books. (Gregory L. Smith in his FARMS Review of this book comes to the same conclusion about the author’s intent in writing this book when he states, “Why was this book published? To advance an agenda? The result often reads like the product of a vanity press rather than a serious attempt to synthesize the best available scholarship.”) Briefly, the great majority of the books now being written about Joseph and polygamy are coming from authors associated with three groups: John Whitmer Historical Association (JWHA), Sunstone, and Mormon History Association (MHA). It is interesting to note that Signature Books, mentioned above, sells Sunstone Magazine, the Journal of Mormon History, and publishes and sells some books of authors associated with JWHA and MHA. The JWHA was established by and continues to have membership of those who led the RLDS Church (now Community of Christ) into mainstream Christianity. I believe their attack on Joseph continues in order to rid that church of its Restoration Movement origins and doctrine. President Veazey of the Community of Christ (CoC), who gave a talk at the 2009 Restoration Studies Symposium sponsored by Sunstone and JWHA, recently intimated in his “Defining Moment” address to the members of the CoC that the church is moving away from Joseph Smith, Jr. and embracing Joseph Smith III, because he taught the “peaceable things of the Kingdom.” Because many JWHA members are involved with Sunstone and MHA, I’m speculating that an underlying motive of many involved with Sunstone and MHA is to influence the members and leadership of the Utah LDS Church to move away from Joseph Smith. Thus, I believe the lie continues to be promoted and magnified by those whose agenda is not to tell the truth but to move the Restoration Movement away from its roots into mainstream Christianity. Go to The "New" Attack on Joseph--Part 2. Thanks for your post. I'm interested in hearing more. Thank you so much for your inquiry. To answer it, I posted a new blog, The "New" Attack on Joseph--Part 2.
lana--Thank you so much for your post and your encouraging words. Joseph was a true prophet of God and we need to always defend him. In fact, I believe at judgment day we will be held accountable for how we have defended both him and the Lord.